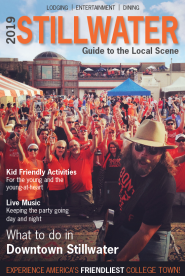 Summer on the Plaza at Oklahoma State University is a family event featuring live music, dining, water activities, shopping, free movie showings, and more! All the outdoor fun, including live performing artists and water slides begin at 6pm. Families can enjoy pre-planned activitis, eat on the Plaza, or stop in at the University Store or Orange Tech to do a litte shopping. Every week a free movie will show at 8pm with premium $1 concessions in the Student Union Theater.